AMY! I've been trying to get in touch with you for two days! Answer me right this minute or I'm going to seriously flip out! Where are you? What's happening in the 19th century? Oh, jeesh, there you are. Enough with the drama. Would it have killed you to let me know how you're doing? I can only surmise at this point that you've been busy with Charlotte and George and the guests that are staying at the mansion. Ya, I was gonna get in touch with you, like, yesterday, but then I got an awesome invitation from the guy I spent the night with. Ack! Hold on...can't breathe. You, you...spent a night in the 19th century with one of the single guys staying in the mansion? One of the guys you told me you thought was "hot"?!! Oh, ya. We sat outside and talked about all kinda stuff. And before we knew it, the sun started to come up. Phew. Okay, hold on a minute while my heart rate flutters back to a normal rhythm. Seriously, you gotta relax. His name is Patrick and he took me with him to a place called Watson's Mill cuz he does business with a guy, the owner there...or somethin' like that. George said we didn't even need a chaperone to go with us cause Patrick is his brother. And when Patrick ended up going into the guy's office, I met up with Adeline, who lives near the mill. I wanted to bring her back to the mansion to hang around with me and Charlotte. We got along great, just like it was kismet or somethin'. I was dying to tell her about me being from the future. Dyyyyying! Don't be ridiculous, Amy. She wouldn't have believed you anyway. It's not a good idea to go around acting all crazy-like. Get that thought right out of your head. You can't ever disclose to anyone that you're from the future. Promise me you won't do this. Watson's Mill is a grist mill that grinds grain into flour in the 19th century. It is located in Manotick, a village situated on the banks of the Rideau River, south of Ottawa, Ontario. 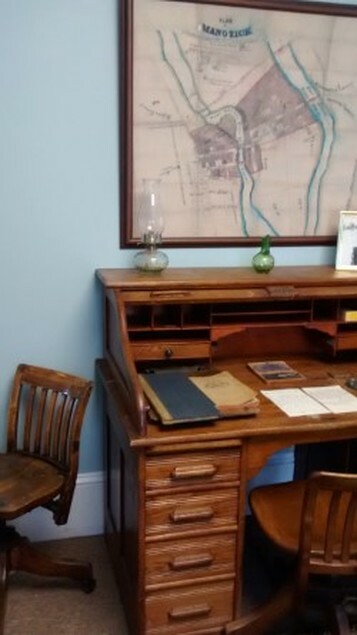 In 1868, when you currently exist, it is owned by Moss Kent Dickinson and his partner, Joseph Currier, who plan to build a new community surrounding their mill in the 30 acres they've purchased. It is one of these men that Patrick must have done business with in the office yesterday. 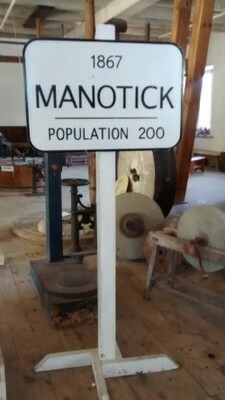 Dickinson has named the village "Manotick", an Ojibwa word meaning, "Island in the river." Watson's Mill will remain in the Dickinson family from 1860 to 1929, when it will be sold to Aleck Spratt. Spratt will also purchase the Dickinson family's home, near the mill. In 1946, the mill will be purchased by Harry Watson, hence the new name of Watson's Mill. In 1972, Watson will sell the mill and the Dickinson's house to the Rideau Valley Conservation Authority, who will restore it. 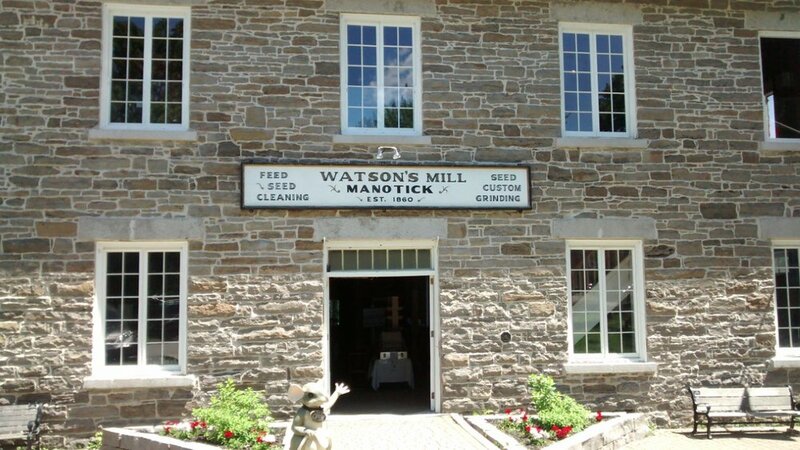 Today, Watson's Mill is managed by the non-profit group, Watson's Mill Manotick Inc., and welcomes thousands of visitors from near and far, who are able to observe the milling process and learn about the incredible history of Watson's Mill ... and the ghost of Anne Elizabeth Crosby. In January, 1861, one of the owners of the mill, Joseph Currier, married Anne (Annie) Elizabeth Crosby. After a honeymoon travelling in the United States, Currier returned to Manotick with his bride. 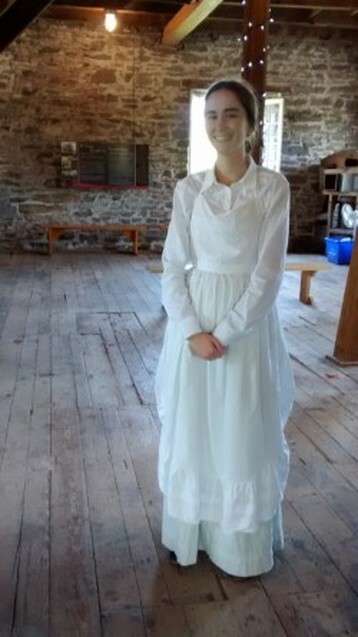 At the time of the first anniversary of the mill, Annie was dressed in a beautiful white, hoop-skirted dress. This dress, unfortunately, would become the cause of her demise. Annie walked up the stairs to the second floor of the mill, and stood near one of the quickly rotating shafts powered by five turbines located in the basement. Apparently, Annie simply turned to her husband - and this is when her dress caught on the rotating shaft, flinging her body with tremendous force against a thick wooden support beam. It is said that Annie has never left the mill, and appears as an apparition, looking out from the second floor windows where visitors to Watson's Mill have seen her.